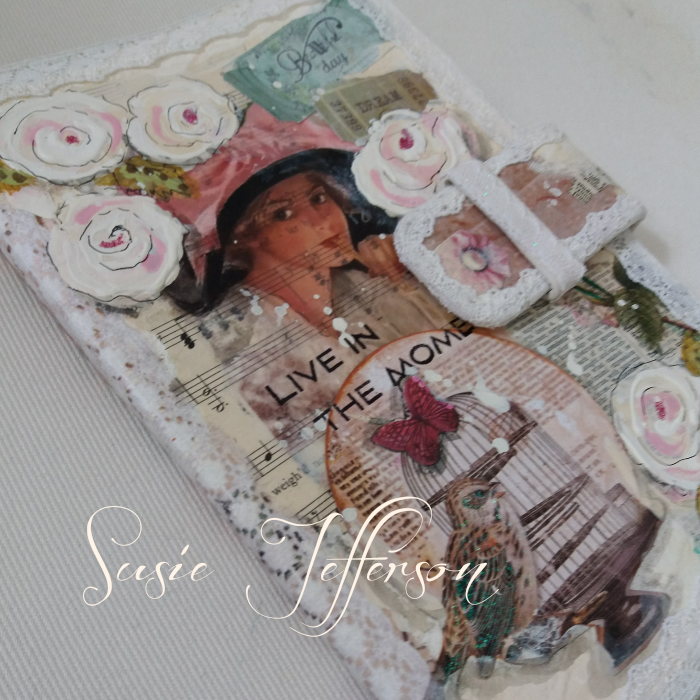 I've adapted the idea of painting on fabric, collaging onto this tablet cover, from an online class I took: Toni Burt - Wrapped In Vintage. 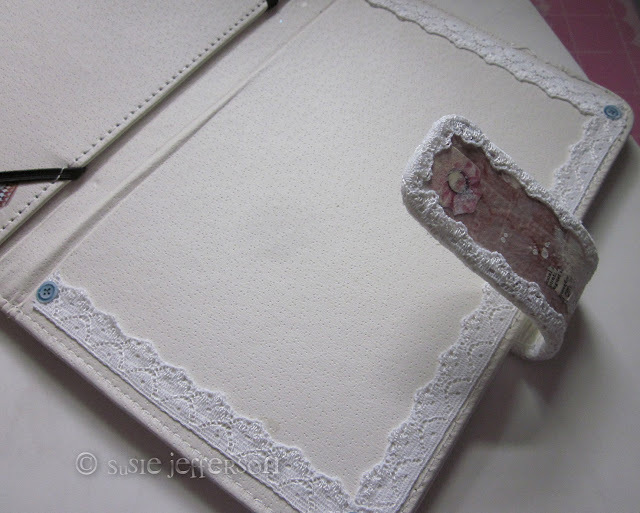 Toni actually sews her cover, whereas I've used an existing hardcover faux leather one. It's a really nice quality of faux leather, so well worth messing around with. The inner core is stiff board, so I knew it would take plenty of embellishments. 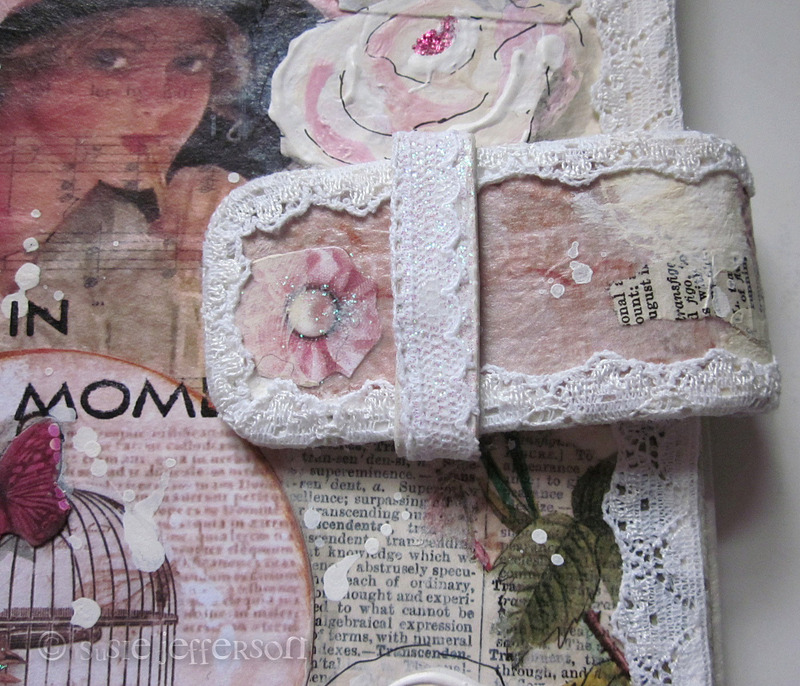 The outer edges of the tablet and the tabbed loop are all collaged with vintage lace. 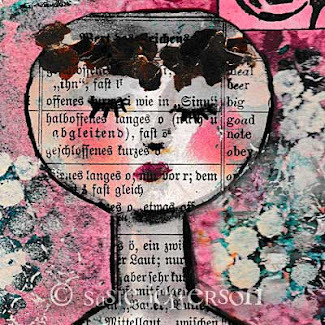 The collaged elements are rice paper which is really strong (has cotton fibers embedded in it) and goes transparent when you add glue underneath and on top. 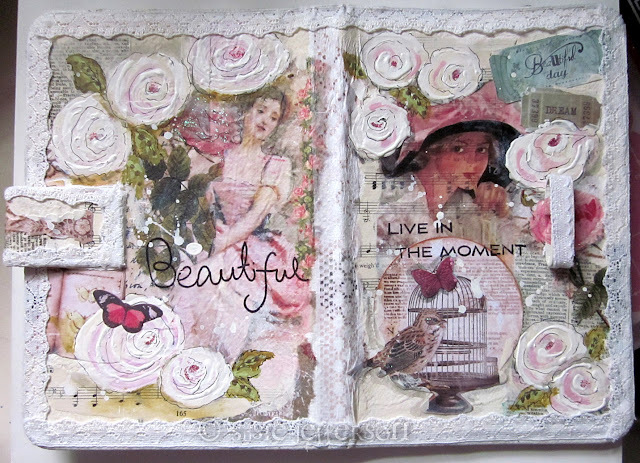 I've also used some vintage scrapbook images, tickets, bubutterflies etc. 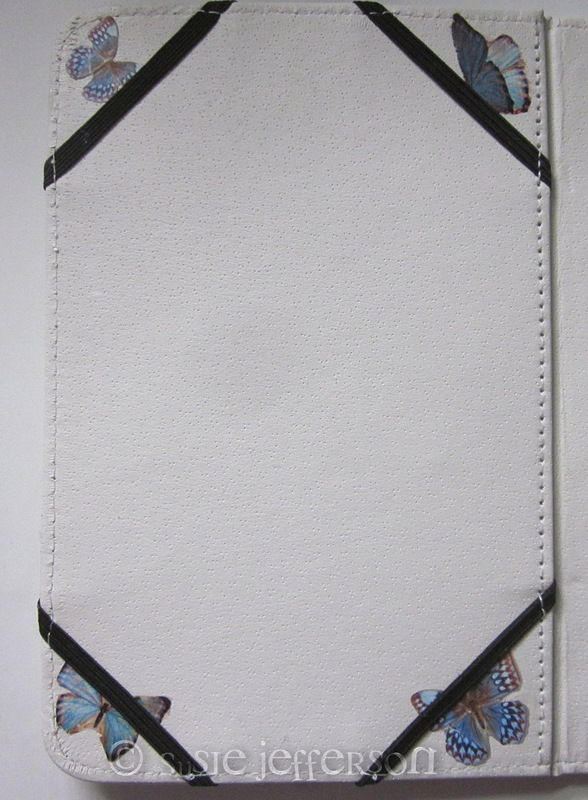 The base is muslin (thin cotton fabric) stuck directly to the faux leather using fabric glue. 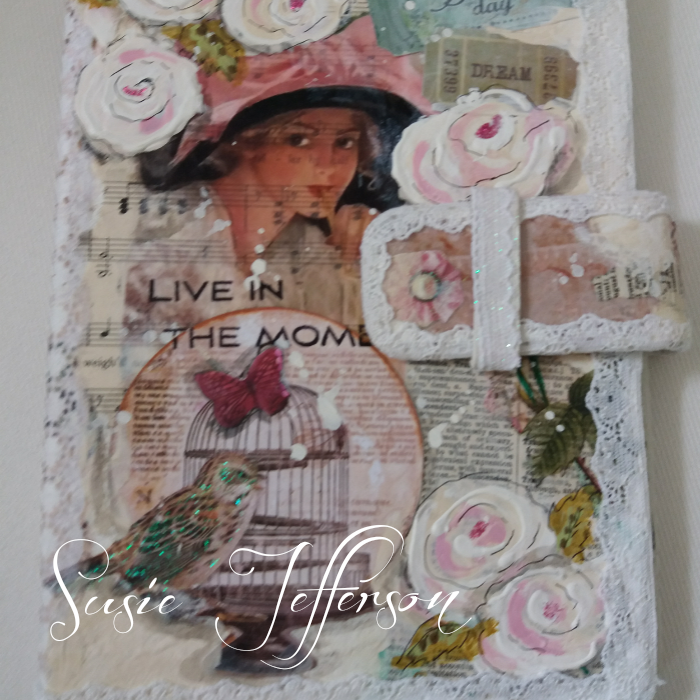 I then added vintage dictionary paper and vintage sheet music, then added everything else on top! 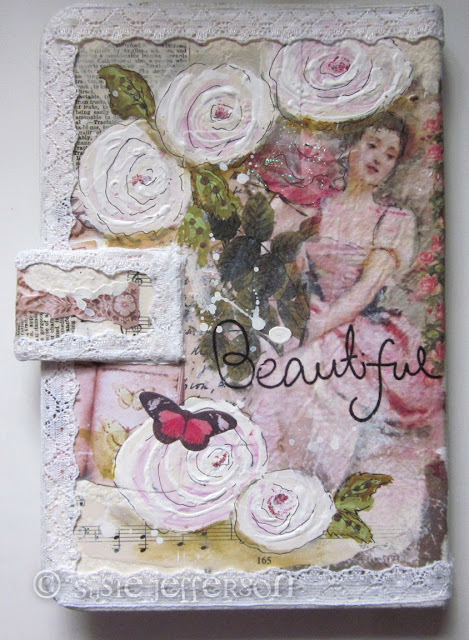 The roses are acrylic, where I've added dots of pink and white, then swirled the colours together with the end of a paintbrush. The words are rub-ons. I've added a little glitter, then used a waterproof spray over everything so the cover is wipeable. I also drew back into the iamges to add more detail. The little butterflies are collaged undernath the elastic, so nothing interferes with the tablet itself.